"You are what you eat" I'm not sure where and when I heard this saying but, that quote drives me up to this day to be a better version of myself. I always make a point to eat and live healthy even though it's freaking hard to snob every burger, donut, and pizza stores I pass the street. 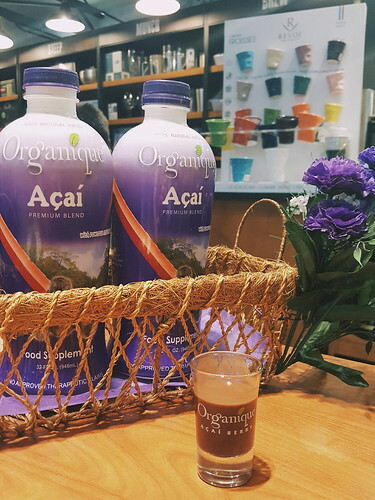 Today, anyone can be healthy with Organique Acai on their meal. Yes! you heard it right besides drinking Organique Acai, it also highly recommended as one of the main ingredients to your favorite dish. Having the most potent antioxidant properties in the berry family, acai (pronounced ah-sah-ee) berries are small, dark purple berries that boost the immune system and helps improve a lot of health-related problems. 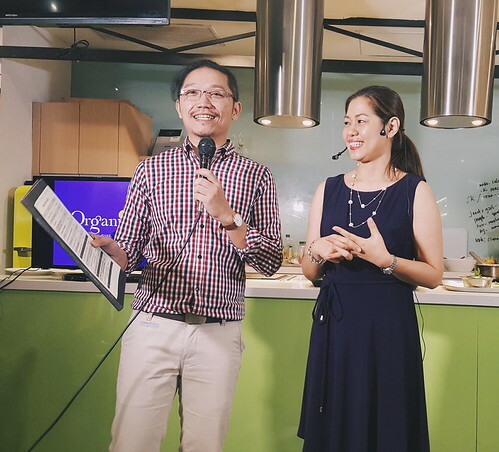 Not many realize that Organique Acai can also be used as a food component in recipes or as an ingredient in cooking that is why Epicurious Restaurant in Shangri-la Plaza, The Cravings Group of the Philippines, developed 4 new Organique Recipes help of Chef Sau Del Rosario, one of the Philippines top chefs today. Organique Inc. 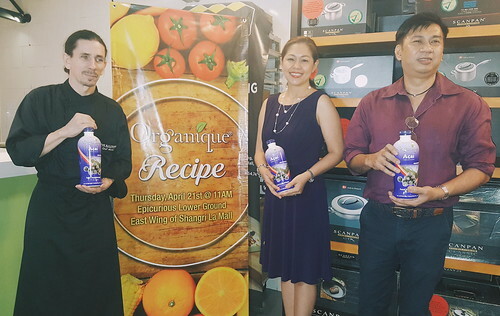 Vice-President for Marketing Ms. Cathy Sambalingon opened the program explaining how Organique Acai is harvested and the stringent process it goes through in manufacturing to ensure a quality product. 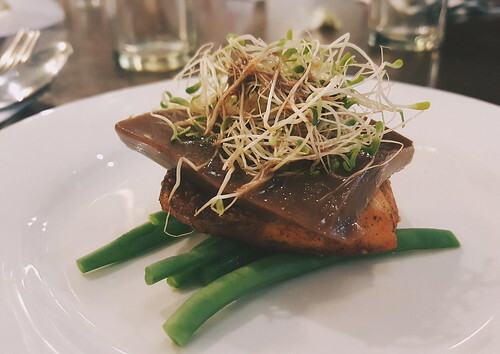 Then the highlight of the event starts when they served the appetiser Pan-seared Salmon Terrine with Organique Acai Juice Gelee. 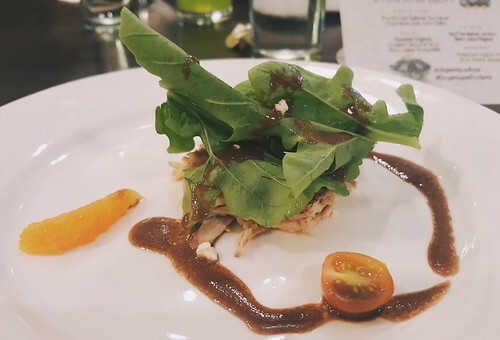 Followed by Roasted Organic Chicken Salad with Acai Berry Juice Vinaigrette for salad. 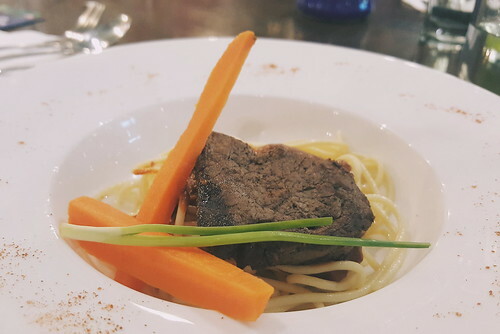 Beef Tenderloin on Acai Berry Juice Ragout for entree. 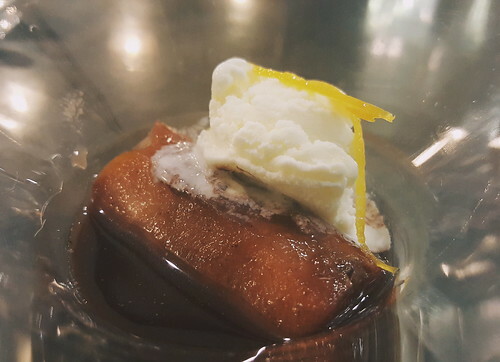 Closing our four course with Poached Apple with Acai Berry Juice. I can eat this every day! You know it's healthy because there's no overpowering of salt and sugar, they all have a neutral taste which I find very delicious. 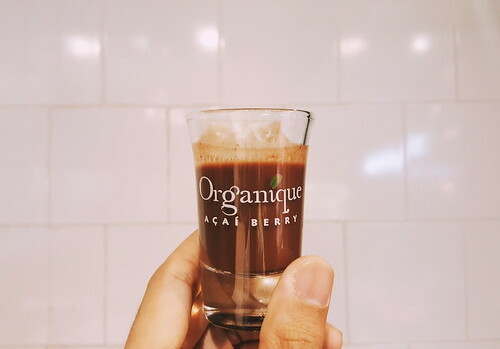 Experiment and create your own recipes using Organique Acai. Be #BerrySmart in taking care of your health, get your bottle of super food Organique Acai at Robinsons Supermarket, Watsons, Mercury Drug, South Star Drug, and Pure Pharmacy for Php 2,500 only. Check out their Facebook & Instagram for updates.